Color trends are tricky. That which looks great this year, may be seen as tacky next year. So when you’re opting for a metal roof, even though you have literally any color in the world to choose from, you may want to tone things down a little if it’s an obscure color. That said, the newest colors for 2019 are here. At least these are according to the Metal Roofing Alliance (MRA). One that Pantone describes as “Living Coral.” It’s a vibrant pink color that is, well, the color of coral while it’s still alive in the ocean. Now we aren’t saying that you absolutely can’t have this on your roof, but most likely this is going to be one of those trends where everyone thinks it’s awesome, but you quickly get sick of seeing this color roof every single day. Check out the Pantone video… maybe as an accent color? Even though Living Coral is seen as the color of the year, people are swinging back to a more moderate metal roof on their homes. Instead of bright, vibrant, and loud, things are getting toned down a little bit. Many trends picking up are the “weathered” look. These are your aged bronze, weathered zinc, and many different metals that have been colored in such a way that they look as though they are rusted. It’s a vintage and old feel to these looks, and likely colors that will last through the decades and never look dated. Of course, when you need a new metal roof on your Billings home, you don’t have to choose a metal that is trendy, new, weathered, or anything of the sort. Instead, you can keep it classic. A traditional blue, gray, brown, or white will always look great and protect your home from whatever elements nature has to throw at it. 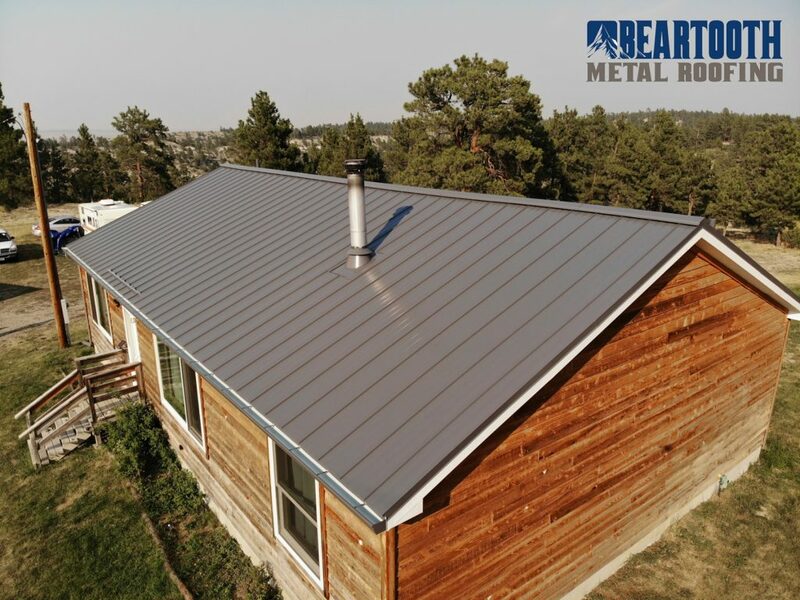 Here at Beartooth Metal Roofing, we provide the highest quality metal roofs around. In the end, you get a work of art on top of your house that will protect your home from whatever Mother Nature can throw at it. To make it even better, this roof is going to last you for many decades to come. Ready to get started? Give us a call at 406-839-0084 to schedule a time to get your new metal roof installed.